So how has Lehmann’s legacy prospered so well after her death? 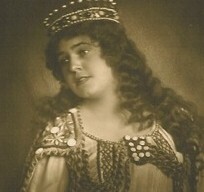 Second (and unlike the three singers mentioned above), Lehmann extended her career. After opera, she devoted herself successfully to Lieder. For many years the song recital and Lehmann were almost synonymous. 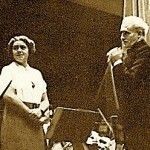 Third, after retiring from singing, she focused on her private teaching and added public master classes. “Most singers eventually taught….” are the words of Dr. Kater from his Lehmann book mentioned above. Many singers have taught, but which ones had the success that Lehmann did? Not only in the sheer number of students, but in their professional achievements. Her successful teaching sent out her disciples, who not only carried on her enthusiasm and dedication to opera and Lieder, but also added longevity to her name: “Ms. 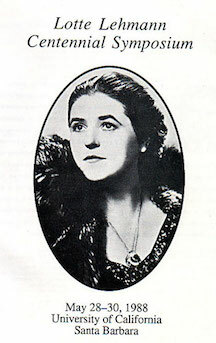 X, a pupil of Lotte Lehmann, will sing a recital tomorrow evening at….” This same longevity continues from her students who themselves became teachers, either instead of, or after their singing careers. These dedicated teachers can be (or have been) found throughout the United States, Europe, and Japan. Their students continue the Lehmann tradition and name; it is often noted in CD booklets that Thomas Hampson’s first teacher, Sister Marietta Coyle, was a Lehmann pupil. • Another advantage that Lehmann enjoyed was the support of recording company executives who appreciated both the Lehmann art and the person. There was a special, personal relationship between Mme Lehmann and John Coveney (d. 1993) at Angel records. His friendly, devoted influence led to the two LP set and his effusive liner notes that shortly followed her death. • The steady stream of LPs and then, CD re-releases, (and sometimes first releases), is well documented. YouTube now offers many Lehmann recordings. 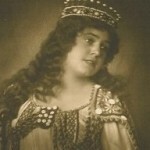 Her recordings also appear in various “anthologies” both of opera and Lieder singers. • Lehmann’s association with the greatest names of twentieth-century classical music—whether Toscanini, Bruno Walter, Richard Strauss, Korngold, or Klemperer—promises that when books or articles are written about them, Lehmann’s name is often mentioned. • Unique among classical singers, Lehmann wrote many books, and she is often quoted from these in other publications, articles, reviews, and liner notes. Her 1945 book More than Singing has remained in print, now as a paperback from Dover, further increasing her name recognition. Her other books have been reprinted by Greenwood and Da Capo presses, which allows readers (students or scholars) to access her out-of-print books. • Lehmann has also fared well in the number of biographies written about her. As mentioned earlier, the German author Berndt Wessling knew Lehmann personally and wrote two books (filled with errors!) on her: Lotte Lehmann: mehr al seine Sängerin (Lotte Lehmann: More Than a Singer) 1969, while Lehmann was alive and with her input, and Lotte Lehmann: Sie sang daß es Sterne Rührte (Lotte Lehmann: She Sang and the Stars Were Moved) in 1995. Though the British author Alan Jefferson wasn’t well acquainted with her personally, in 1988 he wrote a Lehmann biography, Lotte Lehmann: a Centennial Biography, that was translated into German in 1991. 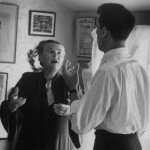 Beaumont Glass worked with her and in 1988 wrote Lotte Lehmann: A Life in Opera & Song. After that he gave lectures based on the book and in 2006 wrote The Memoirs of an Opera Bug, which has a large section devoted to Lehmann. Canadian historian Dr. Michael Kater wrote his Lehmann biography in 2008, Never Sang for Hitler: The Life and Times of Lotte Lehmann, placing her in the tumultuous history through which she lived. The latest book is Kathy Brown’s 2012 Lotte Lehmann in America: Her Legacy as Artist Teacher, with Commentaries from Her Master Classes which thoroughly describes Lehmann’s teaching methods. • The discographies that were included in the Jefferson and Glass biographies also merit attention. I compiled the discography for Glass and was able to develop many original source documents to support dates as well as matrix and catalog numbers. Floris Juynboll provided really excellent work for the Jefferson biography, which he updated for the German edition. • Lehmann taught master classes in the U.S., Canada, England, and Austria. I’m compiling (2017) Volumes III and IV of Lotte Lehmann & Her Legacy that will focus on the individual Lieder and opera arias she taught. Her teaching talents inspired many young singers (and future teachers) and further broadened the scope and longevity of her fame. But it was her teaching at the Music Academy of the West, and later at the University of California Santa Barbara that sealed her name, literally, in stone. There are auditoriums at both institutions that bear her name. 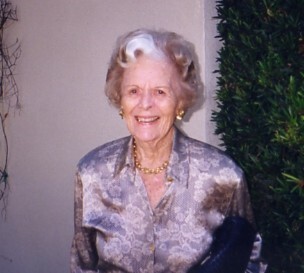 Lehmann was fundamental to the origins of the MAW, and UCSB supports the Lehmann Archive that she instigated, and helped sponsor the Lehmann Centennial celebration in 1988. The Lehmann Archive at UCSB is part of the Special Collections of the Davidson Library, which occasionally develops special Lehmann exhibits. • The Lotte Lehmann Centen nial Symposium took place 28-30 May 1988 and was sponsored by the Library of the University of California at Santa Barbara. 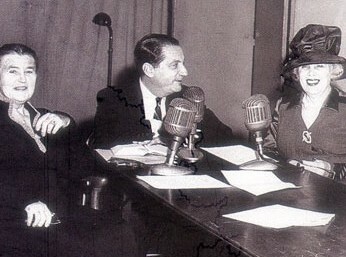 It included recollections by such famous artists and commentators as Maurice Abravanel, Gwendolyn Koldofsky, Edward Downes, Dr. Richard Exner, and Alan Rich. Lehmann student Carol Neblett performed a recital and Lehmann’s memorabilia and own paintings were on display. Her former students held a panel discussion and both Beaumont Glass and I made presentations. • At different points in the story of Lehmann’s influence after her death, a single person became pivotal. Dr. Dan Jacobson, now Professor of Music at Western Michigan University, was hired by the UCSB Library in the Spring of 1987 as the Coordinator of the Lehmann Centennial, and as a Research Assistant to help Dr. Holden assess and catalog Mme Lehmann’s materials that were still housed in her home, Orplid, in preparation for their ultimate placement in the Lehmann Archives at UCSB. He worked in both capacities until the winter of 1989. 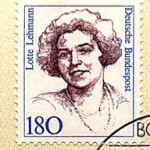 Jacobson edited the Lotte Lehmann Centennial Newsletter (eight issues, 1987–88). 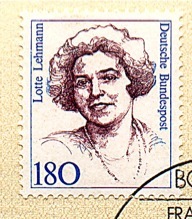 As a result of the centennial he published “Lotte Lehmann on Der Rosenkavalier” in The Opera Quarterly, Summer 1991, which included an edited transcription of a lecture Mme Lehmann gave, highlighted by photographs of color illustrations of Der Rosenkavalier scenes painted by Lehmann (intended to be transferred to a series of tiles). These were the first color inserts in The Opera Quarterly. 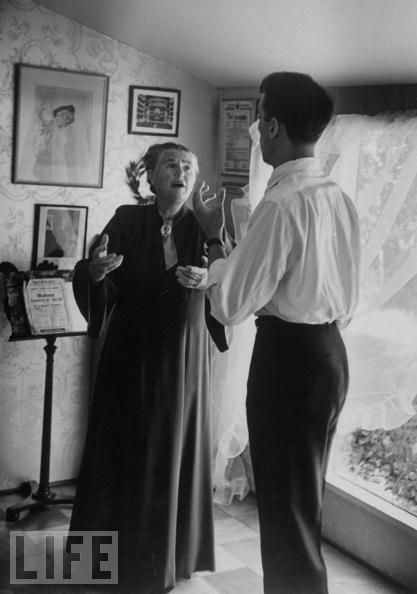 Another article Jacobson worked on was “Lotte Lehmann on Becoming an Interpretive Singer,” NATS Journal (March 1991). Meanwhile, Jacobson designed and produced “Lehmann’s Sung, Spoken, Painted and Written Interpretations of Schubert’s Die Winterreise” (a 75-minute sound/slide presentation). This featured slides of Mme Lehmann’s paintings of the Winterreise cycle shown during an audio performance of her singing the cycle, and accompanied by program notes on those songs from her own writings. This was the inspiration for my Winterreise presentation found on this site. I added Lehmann’s reading of the poetry. This idea was duplicated for Dichterliebe, soon to be found here. Jacobson also initiated a national search and recovered a “lost” film produced by National Educational Television documenting Mme Lehmann’s master classes at the Music Academy of the West in Santa Barbara in July 1961. This film was professionally transferred to VHS in December 1987 and is available at the Lehmann Archives. VAI released a portion of the master classes on VHS and in 2005 published the classes complete on DVD. They were able to include a recently discovered CBC video interview from 1963 with Lehmann. • The Vienna Opera also celebrated the Lehmann centennial. Here is Judith Sutcliffe’s report. That Sutcliffe article and excerpts have appeared in several publications. Many thanks to Judy for permission to use it and the following article here. Judy Sutcliffe had further musings on Der Rosenkavalier and Lehmann. • Judy Sutcliffe was impressed with the level of enthusiasm at the UCSB Lehmann Centennial and asked the participants to sign up to receive a newsletter that would continue the sharing of Lehmann memories and information. Thus the Lotte Lehmann League was born. Newsletters were published 1989–1994 and were mailed to hundreds of Lehmann fans around the world. I worked with Judy in compiling and editing the newsletter. These newsletters have also found their way into libraries and archives and may be read in their entirety on this website. • In 1989 Judy and I obtained a grant to fly to Europe to uncover new Lehmann material, ultimately destined for the UCSB Lehmann Archive. We discovered photos, beautifully preserved on original glass negatives in the Max Reinhardt Institute in Salzburg, recorded interviews from the Austrian Broadcasting Company, and much more. It was fascinating to talk to Horst Wahl, Lehmann’s recording engineer at Odeon, who, even at 90, could remember details musical, technical, and personal. • It must be noted that many elements of Lehmann’s “career” after death were promoted and supported (sometimes financially) by Frances Holden. She allowed me, for instance, to rifle through her Lehmann recordings, where I discovered unreleased test pressings such as Schubert’s Nacht und Träume which was published for the first time by RCA on CD in 1989. Support from Holden’s friends was also crucial. Holden had established a strong connection with the library at UCSB and a personal connection with its then-director Joe Boissée. 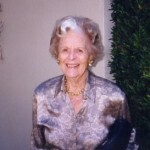 Other Holden friends included Judy Sutcliffe, who was essential in the editing and publication of Beaumont Glass’ Lehmann biography, which was underwritten by Holden. 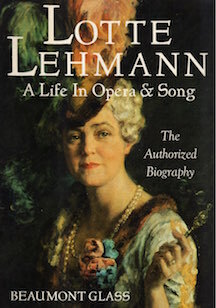 • Lehmann’s fame was enhanced in a different way when Dotsie Helmann, a wealthy former singer and Lehmann fan, commissioned the American opera composer Thomas Pasatieri to write songs (which he later orchestrated) based on Lehmann’s poems. The resulting Sieben Lehmann Lieder are in print and in performance around the world. Here is a page of the songs in their premier performance, along with the translations from the original booklet. • Along these same lines the art song “I Never Knew” was written by Ned Rorem in 2001 to Lehmann poetry in an English translation by Judy Sutcliffe. This was commissioned as the required song for the Lehmann Foundation’s CyberSing 2002, the international web-based art song contest. • Many composers of the past were inspired by Lehmann: Wilhelm Kienzl, Paul Redl, Mario Castelnuovo-Tedesco, Robert Heger: Fünf Gesänge nach Versen von Lotte Lehmann Op. 24, Léo Sachs, Felix Weingartner: An den Schmerz (a song cycle dedicated to Lehmann), and others. Better known is the fact that Richard Strauss wrote several operas with Lehmann in mind. When these works are performed, her name is often mentioned. • Germany honored Lehmann in 1988 with a commemorative stamp and handsome first-day issue material. There are two such first-day covers because at the time, Bonn was the capital of West Germany, and Berlin was a German outpost within East Germany. Nicaragua also issued a stamp at Lehmann’s death in 1976. • The German documentary film director Rita Nassar produced the Lehmann tribute film Stimme des Herzens (The Heart’s Sound) in 1990 which has been seen on both German and Austrian TV and is available (in German only) on the internet. It may also be seen at the Lehmann Archives at UCSB. • Lehmann appeared in the MGM film Big City that is sometimes seen on TV, is available at UCSB, and can be purchased from online sellers. 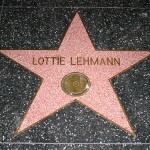 • Lehmann has a star on the Hollywood Walk of Fame, sadly misspelled as Lottie Lehmann! • Lehmann gave many of her recordings (including test pressings), artwork, letters and memorabilia to initiate the Lotte Lehmann Collection at UCSB. The staff there, now directed by curator David Seubert, continues to catalog, translate, and make Lehmann’s legacy available to the public. They present various exhibits of photos of her, as well as her artwork, and plan to have the whole collection cataloged and available on their website. In 2010 I donated my Lehmann collection to UCSB, which augments the original archive, but is kept separate. • Another separate, quite complete, collection of Lehmann’s commercial recordings is housed by the Music Department at UCSB. • Frances Holden supplemented the Lehmann Archive over the years after Lehmann’s death, but willed most of the remainder of Lehmann’s estate to the Music Academy of the West. There one may find Lehmann’s scores as well as some books, photos, and newspaper clippings. David Kuehn, then-President of the Music Academy of the West, gave the collection of instantaneous cut acetates, 78s, and LPs to the Marr Sound Archives at the University of Missouri Kansas City, which was able to handle such fragile documents. A former Dean of the Conservatory of Music at UMKC, Kuehn was familiar with the Sound Archives’ collections and services. After Holden’s death, this collection had been in storage for some time at the Music Academy, and he wanted to find a good home for it. At UMKC the Lehmann LPs and acetates collection are maintained separately from the general collection. In 2010 I donated Lehmann LPs that were not already part of their collections. The Lehmann collection complements the Fred Calland collection, which includes 34,000 vocal recordings. • Because UCSB already had collected such a great amount of Lehmann recordings, etc., in 1994 I donated my collection of Lehmann recordings, photos, letters, memorabilia, and books to the Stanford University Archive of Recorded Sound, Braun Music Center. I augmented this collection in 2010. Other singers of her time who are well documented in this archive include Melchior, Flagstad, Crooks, Chamlee, and Bonelli. The Lehmann Collection is accessible in the Archive to all researchers. Stanford has added to the collection in a few small but significant ways. When they had access to some National Concert and Artists Corporation photographs, they made a special effort to acquire any Lehmann photographs from these files, including duplicates (which might help making reproductions for books and articles easier). Stanford also acquired 16 unpublished Victor takes (all intended for 10″ releases), dating from March 1936 and January 1939. • In 2011 I donated Lehmann 78s, LPs, CDs, DVDs, and printed material to the Yale University Vocal Archives. These archives are accessible to scholars. • In 1999 I established the Lotte Lehmann Foundation, to preserve and promote Lehmann’s legacy and to further the appreciation and study of art song. A semi-annual newsletter reporting on the Foundation’s activities was distributed worldwide. The Advisors included Lehmann students, as well as other artists and administrators who appreciated Lehmann’s unique place in the classical vocal world. The Foundation’s Lehmann website was visited by thousands each month. It included samples of her writings, recordings, photos, art work, and articles about her. The Foundation moved from Hawaii to New York, where the new board greatly expanded the original scope. Sadly as of 2016 the Foundation is in hiatus. To fill that gap, in 2013 I initiated the Lotte Lehmann League as a website that promotes Lehmann and art song. • In 1990 Kathy Hinton Brown wrote “Lotte Lehmann: Artist Teacher” for her doctoral thesis at University of Missouri-Kansas City. A vocal student of Martha Longmire, a former Lehmann student, Dr. Brown was given access to tapes of Lehmann’s interviews and master classes from the Lehmann Archives at UCSB. 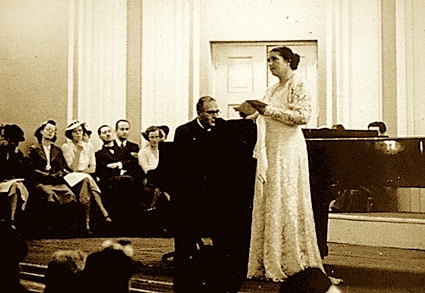 The dissertation includes written transcriptions of Lehmann’s conversations and excerpts from master classes, using various arias, Lieder, and mélodies to illustrate her philosophy and the instruction of musical interpretation and stage presence. A readable version, “Lotte Lehmann: Her Artistic Legacy,” was published. 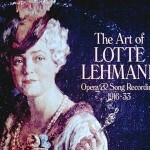 Her book, as mentioned above, Lotte Lehmann in America: Her Legacy as Artist Teacher, with Commentaries from Her Master Classes based on these studies, was published in 2012. • In 2000 VAI released a VHS cassette of excerpts from Lehmann’s MAW master classes of 1961. That was followed by the two master classes as DVDs. VAI also released Lehmann CDs of her New York Farewell recital and one of Lieder and orchestra accompanied songs. • In celebration of the Lehmann Centennial, former student Benita Valente sang a Philadelphia recital in 1988. • The well-respected music critic Desmond Shawe-Tayor wrote a centennial tribute for both Lehmann and Elisabeth Schumann for the Musical Times issue of October 1988. • During 2001–2002 Grace Bumbry sang a series of European and U.S. recitals dedicated to Lehmann. • Germany and Austria marked the 25th year of Lehmann death, with memorial broadcasts on TV of filmed interviews from the 1960s. Also in 2001 the Lehmann Archives at UCSB presented an exhibition of photos of Lehmann, as well as some of her own artwork from their collection. • In 2002 Kenneth Smith presented his web-essay analysis of Lehmann’s vocal techniques as demonstrated in Schubert recordings sampled across the years. Lehmann’s vibrato, portamento, rubato, breathing, timbre, and expression of the text was analyzed with graphs and sound excerpts that could be viewed. At this time  the essay is unavailable. • Throughout 2005 former Lehmann students and Lehmann Foundation advisors recorded spoken and sung tributes to Lehmann that was published as a CD (Fall 2006) by Arabesque Records. A second such tribute may be found within these pages. • At the death of Lehmann’s close friend Hertha Schuch in 2002, her Lehmann collection was donated to the Vienna-based Theatermuseum. Photos from that collection can be viewed on their website, and they have Lehmann 78s that seem to be headed for some kind of listening-presentation. • CD re-releases have continued without letup. The standard fare has been expanded to include unusual performances such as a live Frauenliebe und -Leben with Ulanowsky from Music & Arts. Pristine Audio has issued (in its unique sonic remastering) many recordings on which Lehmann sang: the 1935 Die Walküre Act I; the 1933 Der Rosenkavalier; and the 1941 recordings of Dichterliebe and Frauenliebe und -Leben with Bruno Walter, piano. Naxos has also re-released Die Walküre and Der Rosenkavalier and a series of six CDs of Lehmann’s Lieder recordings, all with the latest in noise-reduction technology. The Immortal Performances label lists the following operas that include Lehmann: The Dream Ring (Die Walküre); the 1939 Met Der Rosenkavalier; and the 1935 Met Lohengrin. • I collected some rare Lehmann material that was expanded by UCSB’s Lehmann Archive and Marr Sound Archives recordings resulting in a four-CD set published in 2014 by the Music & Arts label as Lotte Lehmann: A 125th Birthday Tribute. A fifth CD included an article on Lehmann by Beaumont Glass and a track-by-track introduction and translation that I wrote. 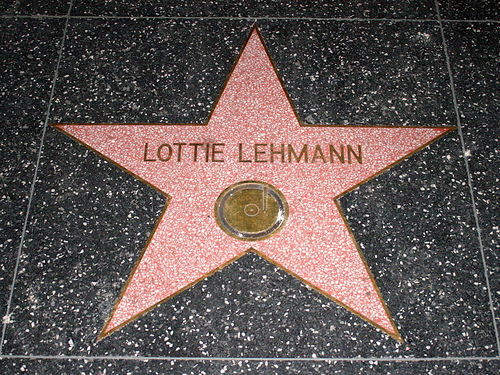 I was the producer and originally called the set: Lotte Lehmann “rarities”. • On the cold, stormy night of 6 January 2015, I provided a self-made CD presentation called “Lotte Lehmann, Legendary and Unknown” for the monthly meeting of the New York Vocal Record Collectors Society. 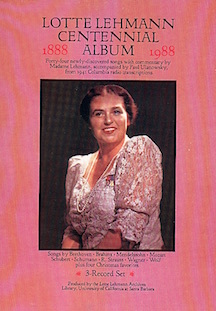 The CD included Lehmann singing both rare and well-known elements of her repertoire. Since I provided my spoken introductions to each selection recorded on the CDs and mailed it to the East Coast, I didn’t have to experience the blizzard. • The first volume of Lotte Lehmann & Her Legacy was published in 2015. I’m preparing Volume III, which will present as many Lotte Lehmann master classes as there are available. This will offer students and their teachers (as well as musicologists) the chance to hear her opinions and suggestions on a wide range of arias and Lieder. • In 2016 the following information appeared in the Märkische Allgemeine newspaper, from which I freely translate. On the sculptor’s website he writes that he seeks to bring out the personality in his interpretation of the portrayed person. • In 2016 the MAW remodeled and redecorated the Main House and added a new Lehmann bust and sitting area. • For almost every anniversary of Lehmann’s birth, various radio stations throughout the world present programs of her recordings. Sometimes the broadcasts include recorded interviews with her. With all this exposure, it astounds me that Lehmann’s name, and the allure of her recordings, aren’t better known. But I allay my anguish with the honest assessment of the world of the classical arts in the U.S. (and perhaps the rest of the world). The sensational, the topical, the horrible, and the petty are the center of media attention. The elements of commerce, the endeavors that make money—these have become ascendent. In many U.S. schools, introductions to the world of music, as well as orchestras and bands, have been eliminated. It is the same with art, theater, or dance. 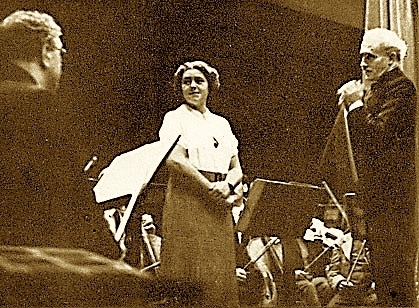 Many people may recognize the name Pavarotti, Callas, and Caruso, but if you ask even opera-goers if they have heard of Lotte Lehmann, much less heard her voice, you will experience a disappointing silence. This rant won’t improve things. Exceptional elements of art will find their way to exist and flourish. I must be patient. Lehmann’s legacy is secure.